Specializing in all of your wide format printing needs since 1978. Digital Now's Oce' printer sales and service will give you peace of mind knowing your production needs are a top priority. Our machine maintenance is performed by highly qualified technicians who keep your equipment running in tip-top shape, which extends the life of your investment. Let us know if your priority is print speed, gray scales, color prints, scan quality, scan speed or the number of rolls available and we can fit your needs and budget. We work with the best manufactures who have proven product history, like Canon printers and HP, with good parts availability. Many of our current customers have enjoyed the longevity of equipment with lifespans over ten years. Well manufactured equipment, coupled with superior maintenance allows you to maximize your investment. Digital Now has reprographic print shops allowing you the opportunity to outsource those large print jobs, saving you time and money. If you need color renderings or color blueprints, we can handle that for you as well. Give us a call and let's talk about how we can help you. Digital Now, Inc. is a full service wide format company located in Memphis, Tennessee and Pensacola, Florida. We have been satisfying our customer base with quality products and services since 1978. We sell and service all cities, counties and states within a 300 mile radius of our offices. We specialize in Oce printers. We sell a wide range of blueprint equipment, as well as provide service plans and supplies. 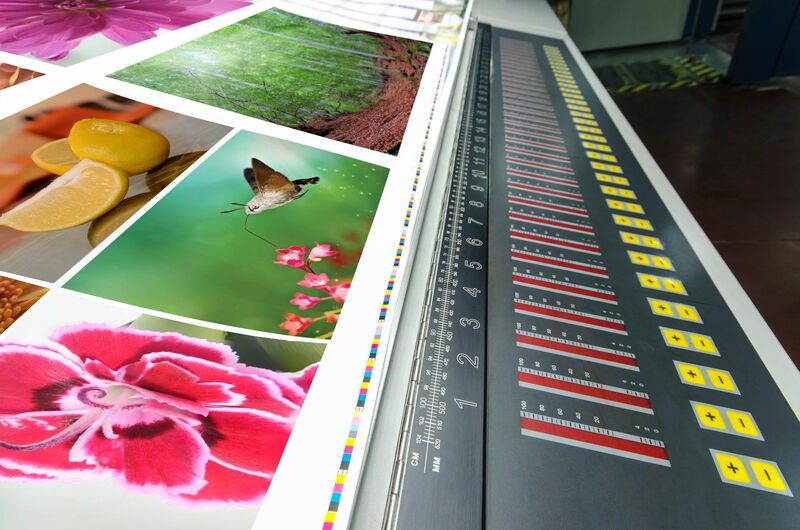 We can provide Oce' and KIP toners or HP inks, as well as bond paper, vellum and mylar medias. In addition to printing blueprints, our reprographics shops can also provide scanning services (black & white OR color). We offer a plan room to help you with your document management, which offers multiple options for bid management through to the final build. Our graphic sign shop in Pensacola provides graphic design for printing of banners, posters, and various sized signs on many different substrates to fit our customer needs. Real Estate signs are very popular and we represent many well know agencies. Our 18' feather flags are an awesome presentation and made to last in our coastal winds. We also offer promotional products in small and large quantities, where most companies require minimum orders. Our flags and promotional products are sold nationwide. We provide our clients with commercial printing in and around Memphis and Pensacola, which encompasses a wide range of products including brochures, rack cards, books, calendars, newsletters, posters, menus, labels, business cards, invitations, announcements, postcards, business reply cards, greeting cards, and much more. If you are in need of Blueprints, then no need to look any further, we print blueprints quickly and exactly to your specs. We can print black and white or color blueprints, and even print color renderings. Our facility in Pensacola can dry mount your renderings on high grade foam board. In the Pensacola location, we provide large project signs and fence banners for many general contractors. Need hard hat stickers or magnetic signs for trucks or dumpsters, we can make it happen. Need T-shirts for the crew? We can handle that too! Looking for a graphic design company, we have you covered, our team of graphic designers are some of the best you will find anywhere. Our graphics design team will work with you every step of the way to make sure that everything fits your vision.